Colombia will always have a special place in our heart, because this is where The Coffee Quest was born. Original founder Ronald de Hommel moved here in 2011, initially to work as a photojournalist, his old job. But soon he fell in love with the Colombian mountainous landscapes and the Specialty Coffee culture. Over the next years he moved from photojournalism into full time coffee-hunter in Colombia and distributor in Europe. The Coffee Quest has come a long way since then and sources coffee in 8 countries right now. In Colombia, we’re a team of ten people working hard on always increasing the quality of the entire supply chain. When you want to keep high standards in a consistent way you keep bumping into bottle necks and by now we’ve solved almost all of them. In the 4th quarter of 2018 we will open the Medellin Mill, the first purely specialty coffee focused Micro Dry Mill in the whole department of Antioquia. Here we will collect the coffees we buy all over the country and we will mill, clean and package our coffees according to the highest standards possible. The great thing about Colombia is that there are many different coffee regions with different harvest seasons. And many areas we even have two harvests a year. This means we’ll be buying coffees all year round and can keep a steady supply of coffee coming to Europe to always guarantee you fresh new specialty lots. In Colombia, we mainly work with very small to medium size farms ranging from 0,5 to 7 Hectares. This results in a lot of personal contact and a lot of intensive work together with farmers. Every day we spend hours on the phone with producers all over the country, advising them how to plant, fertilize, pick and process their coffee. We are setting up various buying stations in interesting regions to increase our presence there, to be closer to farmers and to be able to buy their great coffees much faster. We will soon be offering exclusive contracts for you with the farmer of your choice. When you really like that coffee you bought from us last year, we can connect you to that producer and guarantee you his coffee for the next years. This way we can offer the producer a more regular and higher income and by accompanying him in quality improvement, and maintenance, we aim to provide consistent quality for you. And if you want to visit a Colombian farmer, let us know and we’ll be happy to take you there. Our third container of 2018 is currently being harvested. The Medellín Mill is almost completed (!) More soon, check out our expected list on the Offer list Page and order your samples. 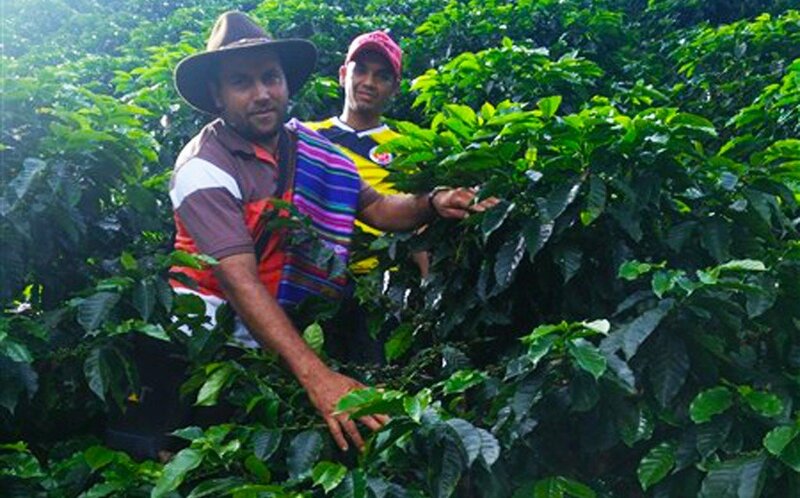 Ronald de Hommel is resposible for The Coffee Quest´s sourcing activities in Colombia. The Medellín Coffee export office was created with the objective to shorten the supply chain as much as possible. Over the last years Ronald has continuously developed the network of connected farmers, while taking care of daily selection of coffee and export logistics. In the office in Medellin he works with a team of professionals that take care of daily tasks and focus on finding the coffees with the cup quality our customers look for. 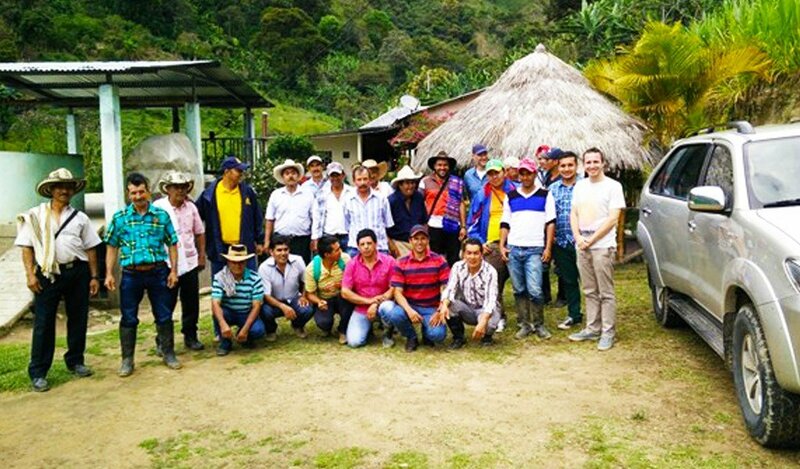 Every year the contact with farmers is improving as both sides understand the value & effort of producing high quality coffees.